Team Butterfly was founded in 2012 to benefit those who are afflicted by Epidermolysis Bullosa (EB). Team Butterfly aims to raise much needed funds in order to progress the promising ongoing EB medical research for a cure, while also providing services and assistance to EB children, adults, and their families. EB is a rare genetic connective tissue disorder, that affects 1 out of every 20,000 births in the United States (approximately 200 children a year are born with EB). Currently, there is no treatment or cure for this painful and life threatening disease. There are many genetic and symptomatic variations of EB, but all share the prominent symptom of extremely fragile skin that blisters and tears from minor friction or trauma. Since Team Butterfly’s inception in 2012, our goal has been to create an EB-free world. 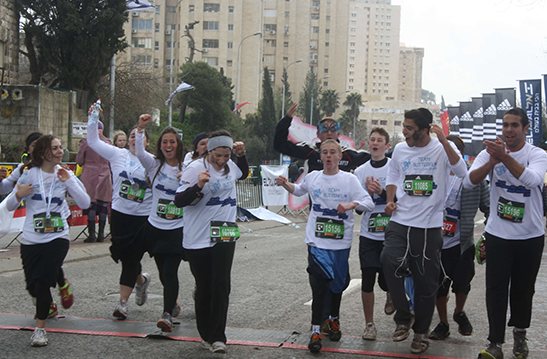 We have had over 250 supporters raise money and awareness as part of our teams in the Jerusalem Marathon in Israel, and Color Runs in New York and Baltimore, collectively raising over $200,000. Since Day One, our grassroots movement and foundation has worked tirelessly to achieve our goal of not only eradicating EB, but supporting those afflicted as well. However, we believe that this is only the beginning, our past success has motivated us to do more and aim higher. We look forward to introducing new programs and events that enable many more people to get involved, and raise more funds and awareness that will bring us one step closer to our ultimate goal. With your help, David, as well as other people affected by EB, can grow up to live full, healthy, and pain-free lives!